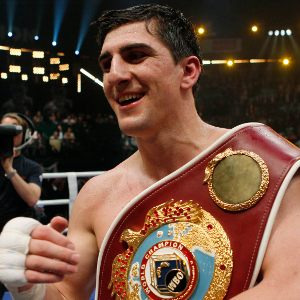 After lengthy discussions with manager Wilfried Sauerland, CEO Chris Meyer, trainer Ulli Wegner, matchmaker Hagen Doering and Marco Huck it´s been decided that Marco, still WBO cruiser champ, returns to cruiserweight and where mandatory challenger and interim king Ola Afolabi awaits. It´s was announced already at the press conference after Huck´s controversial loss to Alexander Povetkin February 25 that there wouldn´t be a rematch - at least not an immediate rematch - as Povetkin had his mandatory challenger, Hasim Rahman, to take care of first. Huck beat Afolabi the first time around, back in December of 09, but it was on a very close decision.